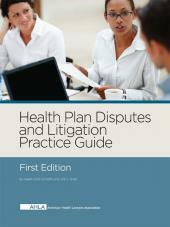 Be prepared for an increase in health plan-related litigation with this brand new publication. The passage of the Affordable Care Act has led to new marketplaces to purchase insurance to cover health care expenses and more people becoming insured. While health plans are moving to take advantage of the changes, the likelihood for an increase in lawsuits involving health plans, their clients, and others involved with the delivery of health care becomes greater. Be prepared for an increase in health plan-related litigation. The passage of the Affordable Care Act has led to numerous changes to the delivery of health care, including new marketplaces to purchase insurance to cover health care expenses. As more people become insured, their health plan decisions become even more important to them and to the health plan industry in general. While health plans are moving to take advantage of the changes, the likelihood for an increase in lawsuits involving health plans, their clients, and others involved with the delivery of health care becomes greater. Expert guidance for informing your counsel. Is the dispute a managed care issue? Is the plan covered by ERISA? What are the implications? What are the causes of action against a health plan? What causes of action may be asserted by the health plan? What are the common reasons for denial of coverage? What defenses are available against an ERISA claim? When may the arbitration be required? Comprehensive coverage of the most frequently litigated areas. Important background is included to provide context for any case that arises. 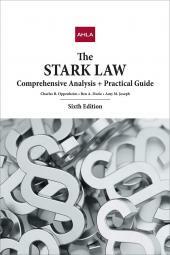 The publication also includes relevant documents, case summaries and a litigation decision tree. Joseph Scott Schoeffel is Special Counsel with Buchalter Nemer in Irvine, California. He is the former Mayor and current City Councilman of the City of Dana Point, California, and the current Chairman of the San Joaquin Hills Transportation Corridor Agency in Orange County, California. He received a B.A. degree in biological sciences from the University of California, Santa Barbara, and his J.D. degree from the University of California, Berkeley School of Law (Boalt Hall) where he was a member of Ecology Law Quarterly. Scott has over 33 years of experience as a health care, real estate, land use, and business lawyer. He is the former Executive Vice President and General Counsel of a company that owns and operates four hospitals in Orange County, California. He previously served as Vice President and Assistant General Counsel of Tenet Healthcare Corporation, where he led the company's managed care litigation department. He also practiced health care law extensively with Jones Day in Los Angeles and Irvine, California. An accomplished multi-instrumentalist, Mr. Schoeffel is also a member of the steering committee for SupportMusic, an international coalition of affiliates that promotes music education in public schools, and is the co-founder and President of the Dana Point Symphony. Julie A. Simer is a shareholder with Buchalter Nemer, a Professional Law Corporation, practicing in the firm’s Irvine, California office. Ms. Simer received her undergraduate degree from the University of Illinois (with high honors) and her J.D. degree from Drake University School of Law (with honors). She is the Vice Chair of Education for the American Health Lawyers Association’s ACO Task Force and serves on the board of directors of the Orange County College Foundation. Julie is a member of the California Society for Health Care Attorneys, the Health Care Compliance Association, the Healthcare Businesswomen’s Association, the Arizona Health Care Lawyers Association, and the Healthcare Financial Management Association’s southern California chapter. She speaks and writes frequently about managed care, health care regulatory compliance, and privacy, focusing on practical legal advice for health care providers. 2 Who is the Client? 3 Is this a Managed Care Issue? 4 Is the Health Plan Sponsored by an Employer? 5 What are Some of the Relevant Documents? 6 What other Causes of Actions may be Filed Against a Health Plan? 7 What are Common Reasons for Denial of Benefits? 8 What Defenses are Available to Defeat an ERISA Claim? 10 Does Dispute Involve a Medicare or Medicaid Health Plan? 11 What Causes of Action may Health Plan Assert? 12 When may Arbitration be Required? 13 Has Market Competition been Affected? 14 Is Member's Health Information at Risk? 15 Does Dispute Implicate Affordable Care Act?